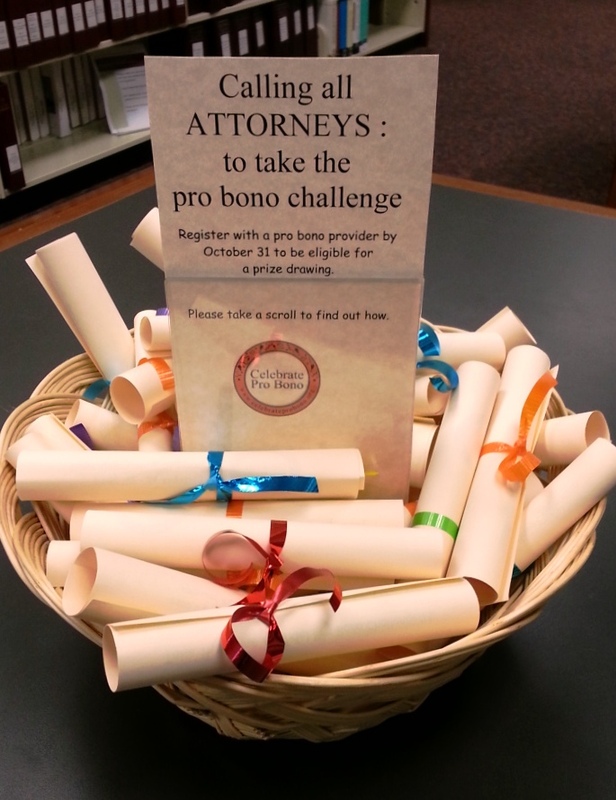 Calling Anne Arundel Attorneys to take the Pro Bono Challenge! 1. Simply register (or have registered in the past) with a pro bono legal services provider as a volunteer and agree to take a case. 2. Once registered, let the Local Pro Bono Committee know by filling out the form at http://goo.gl/forms/iXnnwi9uC9. All who register with a provider and fill out the form by October 31st will be eligible for a prize drawing. (Prizes include a bottle of wine and more.) Questions? Contact Joanie Bellistri @ joan.bellistri@aacounty.org or 410-222-1387. Here is a very small sampling of some upcoming events in Maryland! Monday, October 20th: CLS Family Law Clinic for the Self Represented at the Prince George’s County Courthouse. More information about this clinic as well as other ongoing programs is available at http://www.clspgc.org/WhatWeDo/ProgramsClinics. Tuesday, October 21st: Pro Bono Connection at the University of Baltimore School of Law. The event will provide free expungement training from 2:00 to 5:00 and a Pro Bono Fair and Reception, 5:00 – 7:00, connecting law students and lawyers with pro bono opportunities (includes lite fare, beer and wine). For more information, contact kpierre@probonomd.org. Wednesday October 22nd: Ask a Lawyer in the Law Library Program at the Anne Arundel County Public Law Library from 11:00 a.m. – 1:00 p.m. Information about the Ask a Lawyer in the Law Library program is available at http://circuitcourt.org/legal-help/lawyer-in-the-library. Also, check out our blog posts about this program. Thursday October 23rd: Pro Bono Family Mediation Project Clinic at the Circuit Court for Baltimore City. For more information about the clinic, which is a joint venture among the Pro Bono Resource Center of Maryland, the University of Balitmore School of Law and the Circuit Court for Baltimore City, see http://probonomd.org/about-us/about-family-mediation/ and/or contact Annie Brinkmann at abrinkmann@probonomd.org. Annual Conference and Career Fair sponsored by Equal Justice Works at the Bethesda North Marriott. More information about the event, which connects law students and public interest employers, is available at http://www.equaljusticeworks.org/law-school/conference-and-careerfair. Saturday October 25th: Naturalization Clinic at the Esperanza Center Immigration Legal Services (Baltimore, Maryland). For more information, please see http://www.catholiccharities-md.org/immigrants/immigration-legal-services/immigration-legal-services.html and/or contact Ouranitsa Abbas at oabbas@cc-md.org. This is only a small sampling of the available services and opportunities to volunteer. More Maryland events are available at http://www.probono.net/celebrateprobono/events/location.2014-10-01.Maryland. Information about nationwide events is available at http://www.probono.net/celebrateprobono/events/. The People’s Law Library (PLL), available at www.peoples-law.org, is a legal information and self-help website geared towards Maryland citizens and is maintained by the Maryland State Law Library. It is a good starting point for your legal research as the PLL provides information for self-represented litigants about the law as well as referrals for legal services. The PLL’s content development is overseen by a committee of legal professionals from throughout the State of Maryland. With over 1.3 million hits each month, the PLL is a great resource for Maryland residents. Reason 5 – PLL provides a guide to legal research, including research guides and evaluating legal websites. Reason 4 – PLL is available in Spanish, French, Korean and Simplified Chinese! Reason 2 – PLL includes popular topics such as Consumer Law, Employment Law, Family Law, Government Benefits & Services and Youth Law. Reason 1 – PLL is written for a non-attorney audience, which is great for attorneys and non-attorneys alike! 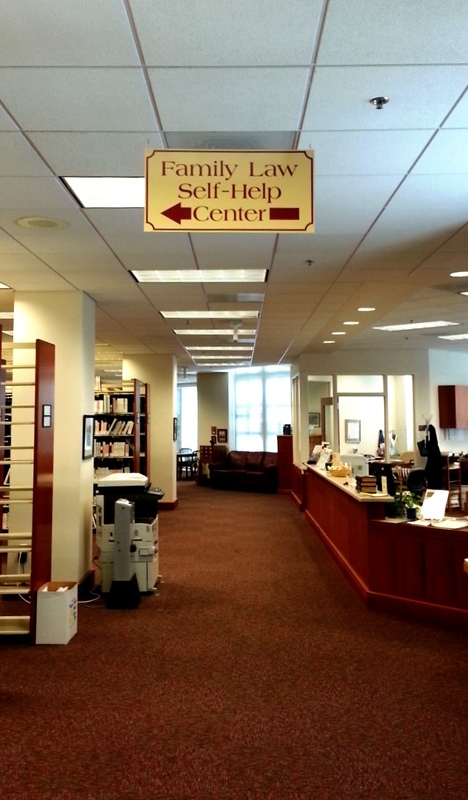 The Ask A Lawyer In The Library program is a civil, non-family law, self-help program sponsored by the Anne Arundel Bar Association and the Maryland Volunteer Lawyers Service. Every Wednesday, from 11:00 a.m. to 1:00 p.m., you can talk with a volunteer attorney for up to 20 minutes. To date, 121 attorneys have contributed over one thousand hours to meet with over two thousand clients. Our statistics for recent years are as follows: in 2013, volunteer attorneys contributed 229 hours to meet with 400 clients; in 2012, volunteer attorneys contributed 205 hours to meet with 445 clients; and in 2011, volunteer attorneys contributed over 201 hours to meet with 479 clients. The Law Library would like to extend a heartfelt thank you to the volunteer attorneys! If you are an attorney interested in volunteering with this program, please contact us. For more information, please see http://circuitcourt.org/legal-help/lawyer-in-the-library, or you can check out our past blog posts about the Ask A Lawyer In The Library program! Did you know that there are Maryland Rules on Pro Bono Legal Service? Rule 16-812 (Rule 6.1 Pro Bono Publico Service) of the Maryland Rules is an aspirational (not mandatory) rule that provides that “[a] lawyer has a professional responsibility to render pro bono publico legal service”* and suggests a minimum 50 hours of pro bono service each year. There are many ways to provide pro bono legal service. ◙ You can provide financial support to organizations providing pro bono legal services. In addition, Rules 16-901, 16-902 and 16-903 address pro bono standing committees at the state and local level as well as mandatory reporting of pro bono legal service. Do you have questions about the Maryland Rules on Pro Bono Legal Service? A great place to start is the FAQ section available on the Maryland Courts website. The Law Library is also always available to assist. *All quotations, unless noted otherwise, are attributable to Rule 16-812 of the Maryland Rules, which are available online at https://govt.westlaw.com/mdc/Browse/Home/Maryland/MarylandCodeCourtRules?transitionType=Default&contextData=(sc.Default)#N105FF040B79311DBB4ACEAAAE7EB7386. 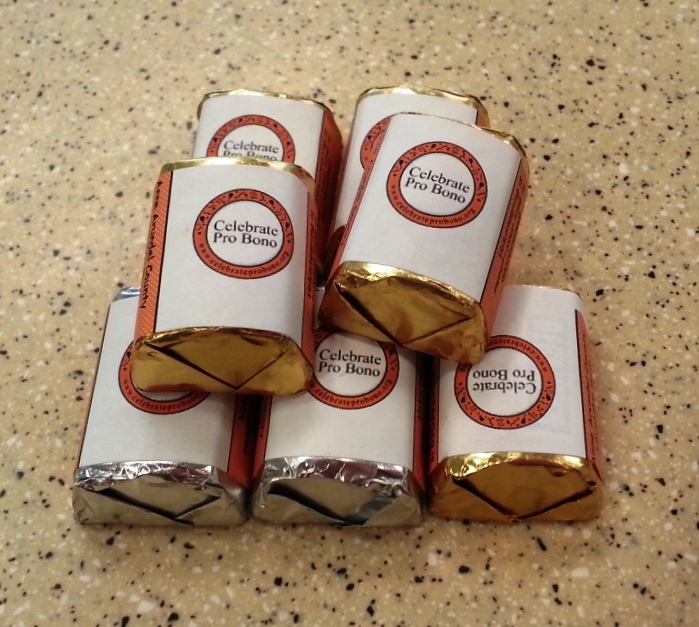 You can find Pro Bono Chocolates, specially wrapped by Joan Bellistri, in the Law Library! The 2014 National Pro Bono Celebration this year is October 19th through October 25th. This annual celebration of pro bono is organized and sponsored by the American Bar Association’s Standing Committee on Pro Bono to recognize and promote pro bono at the national level, but with a focus on local needs and local projects. The Law Library is excited to once again be a Celebration Supporter! In honor of the National Pro Bono Celebration, this blog will be featuring posts focusing on pro bono service for the entire month of October. Stay tuned as we will highlight ongoing pro bono services and programs available at the Law Library, such as the Ask A Lawyer In The Library Program, as well as opportunities to get involved, such as the Anne Arundel Pro Bono Challenge. For more information about the National Pro Bono Celebration, including background, events, resources and news, please visit http://www.probono.net/celebrateprobono/.